The June school holidays have really gone by in a flash. The kids went back to school today and I started work again. But we had a lot of fun and I wanted to share with you some photos here. 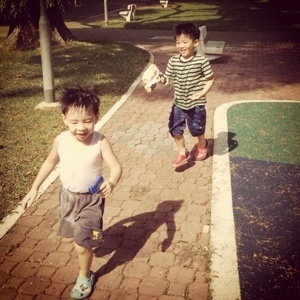 We didn't travel anywhere exotic but we spent the last week of the school hols doing simple things and catching up with friends. 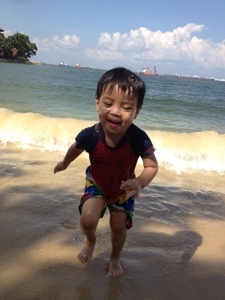 On Monday, we went to the beach with Kirby's classmates and the kids really REALLY had fun. 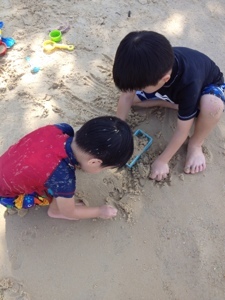 They dug huge sand gullies, enjoyed the waves rushing over their feet, made new friends and the picnic by the beach. It was such a great outing. It made me wonder why I hadn't done it earlier. 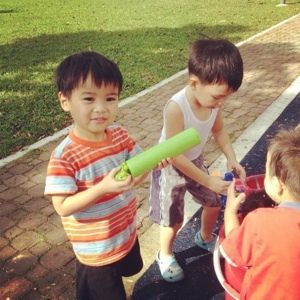 On Tuesday, we invited our church friends over to our house for a "bring your water gun" playdate. 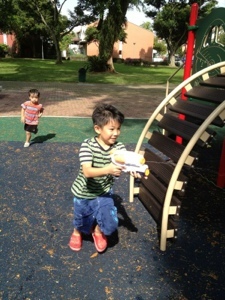 The mums were able to chat while the kids squirted at each other and ran to their heart's content. It was a perfect playdate for mums and kids. 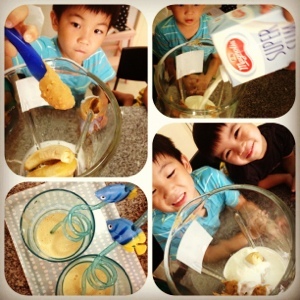 On Wednesday, we stayed home and the kids played with their toys while we made peanut butter smoothies. On Thursday, we visited the Children's Season at SAM with Jaeden's friends. My favorite exhibit was the clay craft corner where the kids were given a clay magnet that they could decorate using ordinary everyday objects to create impressions on the clay. Love the possibilities. Just looking at all the creations made me inspired to do the same with simple everyday objects. In this corner, the kids were given a box and markers that they could freely express themselves on and then leave the box behind. 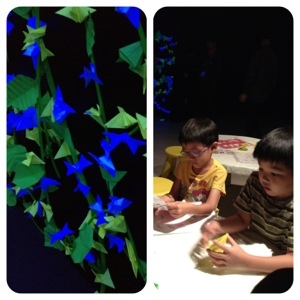 On the third level, we visited this room where the kids had the chance to fold an origami flower and either add it to the paper garden or bring it home. My kids chose to bring their flowers home. 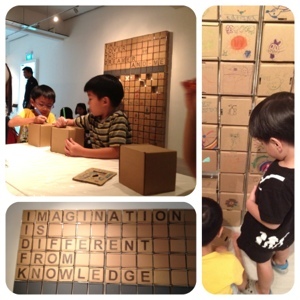 We then hopped over to the final exhibit where the kids could go into a little room. 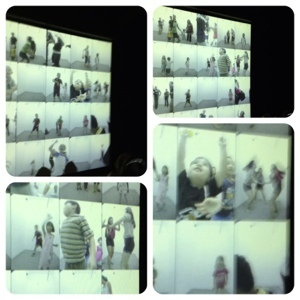 Express themselves by dancing and be rewarded with a video clip of themselves on the big screen. Can you see my kids? I spent Friday working on flowers for a wedding on Saturday so the kids played and watched home movies and before we knew it, the holidays were over.